Legal costs can escalate, especially when you're getting divorced. How can you take control of the expenses that can be controlled? Check out this article by Kathleen Aldridge and Nancy Jane Bullis to find out! Accept that you may not have the control you would like to have over the legal costs. If your spouse is unwilling to negotiate a settlement and wants to drag matters over a period of time or through to trial, the legal costs will escalate. 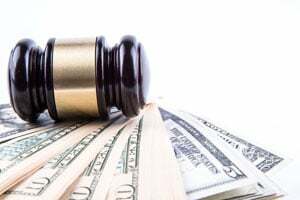 Sometimes one or both spouses start out not fully comprehending the stress and high costs that are involved in fighting it out in the litigation process. Months later they may come to the realization that it is better to work out a settlement to end the “emotional and financial bleed” and get on with their lives. Sometimes one or both spouses are so angry that they will do everything possible to drag matters out just to have their “day in court.” Then they realize only too late that putting their lives in the hands of the court is anything but empowering. The court may make decisions that neither of them desires. Taking the things that you cannot control into account, you can do some things to make your time with your lawyer more cost effective and control your legal costs to some extent. Gather, photocopy, and organize all of your personal and family financial documents and records. This includes your personal income tax returns and any and every document you can find that relates to your family finances, such as cancelled cheques, records of investments, loan agreements, bank account statements, insurance policies, real estate documents, RRSPs, and the like. If you have a marriage agreement, a domestic contract, or any other agreement, your lawyer will also require these documents. Calculate all of your current overheads. If you haven’t been keeping records of your expenses before, start writing down everything that you spend money on-groceries, gas, utilities, child care, your children’s haircuts, your children’s extra-curricular activities, your children’s medications. Keep a record of everything that you spend to support yourself and your children on a daily, weekly, and monthly basis. If you have friends who have been through this process and can give you practical advice, listen and consider their input. Although each situation is unique, learning from the experiences of others To Have And To HoldChapter 8 For Better or For Worsecan help you focus on the specific matters that you will need to discuss with your lawyer. Plan your telephone and face to face meetings with your lawyer. Write down your questions before you talk or meet. When your lawyer gives you advice, take notes so that you have the information you need to make the best decisions for you and your children. If your lawyer calls you but your children are in the room, or for some other reason you do not feel you can concentrate on the matters at hand, ask for a time that would be convenient for you to return the call. Call back when you are feeling calm and prepared and assured of privacy. Do not use your lawyer’s billable time to talk about your emotional situation. Do not have your lawyer do all the legwork if there are matters you can handle. Make the calls, pick up the documents, and do whatever you can to gather any information or documents that your lawyer requires. But of course you also need to consider the trade-off of the cost of your time versus the cost of your lawyer or his or her assistants doing this work. Ask your lawyer directly if there is anything that you can personally do to keep the costs down. DO NOT LOOK TO YOUR LAWYER FOR EMOTIONAL SUPPORT. HE OR SHE IS THERE TO REPRESENT YOU IN LEGAL MATTERS. IT’S SIMPLY TOO EXPENSIVE TO INVOLVE YOUR LAWYER IN THE EMOTIONAL ASPECTS OF YOUR MARRIAGE BREAKDOWN. In matters of property division, you may have to provide records to determine any worth that is separate from the family property or you may have had prior to the marriage. If you had a marriage contract, these matters may be dealt with there. If not, you will need to provide the appropriate documentation. If you owned property or had investments such as an RRSP prior to your marriage, do you have valuations as at the date of the marriage? If you do not have the records to substantiate property or investments you believe should not be considered in the division of the matrimonial property, can your financial advisor, present or former employer or banker provide information that would substantiate your claim? There are professionals who do forensic valuations of property but these services will add costs to the bottom line of your separation or divorce. This article has been edited and excerpted from the Book To Have and To Hold with permission by McGraw-Hill Ryerson,Copyright ©2010 by Kathleen Aldridge and Nancy Jane Bullis. Katleen Aldridge, BA, B Ed, is an experienced educator, writer and editor of business and technical publications, she has co-authored several best-selling books, including the recently published Wired for Small Business Success. Nancy Bullis is a Toronto-based lawyer who provides writing, technical review and editorial services for several highly successful financial publications. Other articles by Kathleen Aldridge and Nancy Jane Bullis, LL.B. How can I keep my legal fees under control?